03.02.2019 21:20 - 22:15: Failure of the central Internet connection in the main data center. All services were only limited accessible. The problem could be fixed. September 18, 2018 05:30 - 06:30 CEST - Partially unavailability of our systems due to maintenance - there will be some interruptions. September 17, 2018 01:00 - 04:00 CEST - Partially unavailability of our systems due to data center maintenance - there will be multiple interruptions of up to 15 minutes. 09.06.2016: Interoperable eGov traffic: Unfortunately, we received regularly double sent eGov messages from another platform to PrivaSphere receivers (second sending with 5 minutes delay). This is a failure of the sending platform and is known since February 2016 - no fixing date is announced yet. Sunday 21.05.2017 - from 21:15 Operational interruption for approx. 1 hour - We are working on an improved database infrastructure, which makes our redundant systems even more fail-safe. 03.05.2017: Interoperable eGov traffic - The operator of the electronic subscriber directory for the legal traffic (eGov) reports problems with the accessibility. Interruptible interchange of eGov messages may result. 31.10.2016 21: 30-22:30: Maintenance work on the PrivaSphere platform - short interruptions expected. 26.09.2016 10:30 - 19:10: Problems with QuoVadis online services: signing of outgoing eMails and sending receipts (PDF) partially disturbed (OCSP, online signature services). 18.09.2016 approx. 16:15 - 20:45: Partial short outages due to technical problems on the backbone infrastructure. 08.-13.06.2016: Due to problems with the PKI infrastructure (OCSP) of the Federal Office of Information Technology, Systems and Telecommunication FOITT it is currently not possible for the users to login with certificates issued by the FOITT. 02.13.2016 08.00 until 20.00: release at an other platform - in this period, there may be short outages in interoperable eGov traffic. 12.12.2015 08:00 - 20:00: There may be delays in interoperable eGov transmissions because another platfome is releasing. Sun 11/22/2015 00:15 to 7:00: Due to maintenance work, the register of eGov participants of the Federal Office of Justice will not be available. During this time no interoperable eGov messages can be delivered. 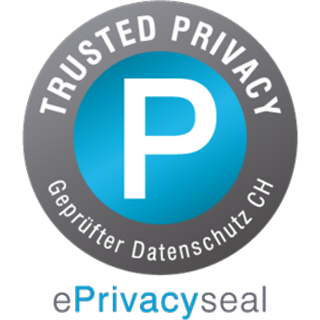 15.10.2015 09:56 - 10:22: Interruption of accessibility PrivaSphere Secure Messaging. Disruption of Internet connection in the data center. 18.09.2015 05:00 - 05:05: Release of new eGov receipts and other features. 13.09.2015 - 17.09.2015: Interoperable eGov mails to the Canton Solothurn are not possible due to problems after the IncaMail 4 release. 12.09.2015, 8 a.m. until 13.09.2015, 12 p.m Release of IncaMail. During this time there will be interruptions to the service in the delivery of interoperable eGov registered eMails. 06.09.2015 02:00 - 06:00: Electronic directory of the Federal Office of Justice: Maintenance by the operator. Therefore there may be several short interruptions up to 5 minutes. 01.09.2015 17:10 to 17:47: Electronic directory of the Federal Office of Justice: Due to a configuration error, there was a complete failure of the Internet connection on September 1, 2015 17:10 to 17:47. The services were still "alive", but unavailable. 24.08.2015 from1800 (approx. 1h): work on the mail infrastructure of the Canton of Berne. Possible delivery delay of 'eGov Registered Mails' to courts and government of Berne. 05.08.2015 from1800: work on the mail infrastructure of the Canton of Berne. Possible delivery delay of 'eGov Registered Mails' to courts and government of Berne.